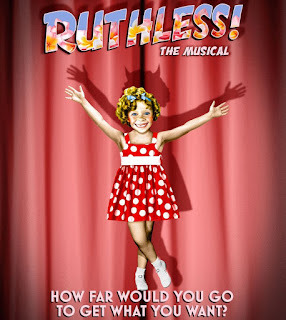 The strapline for Ruthless! asks the question, ‘HOW FAR WOULD YOU GO TO GET WHAT YOU WANT?’ In the celebrity-obsessed world that we live, seemingly the answer must be, anything! The show’s storyline tells of ‘the beautiful and talented eight-year-old, Tina Denmark. who will do anything to play the lead in her school play.’ Seemingly, a simple premise for this cult off-Broadway musical from 1992, but rest assured there are plenty of twists and turns en route to a hysterical and fantastical denouement – no spoilers here! It is essential to relax and enjoy the show for what it is: camp, cult, crazy. And, once you are in that mindset, you’ll be in for a seriously fun night out. It helps too to have a vague knowledge of musical theatre and classic films as there are some hilarious esoteric spoof references to such classic Broadway musicals as Gypsy and Mame, and movies such as The Bad Seed and All About Eve. Ruthless! is an all-female musical, which is a slight contradiction as it stars Dancing on Ice’s Mr Nasty, Jason Gardiner who, I have to say does a pretty excellent job as Sylvia St Croix - great dancing, a good voice and the glue that holds this production together. 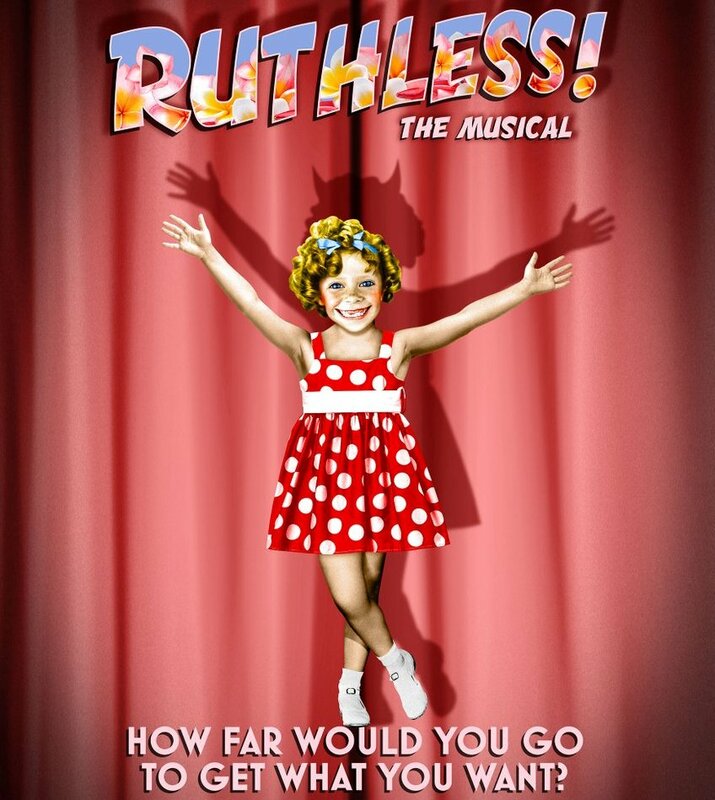 With music by Marvin Laird and book and lyrics by Joel Paley, Ruthless! 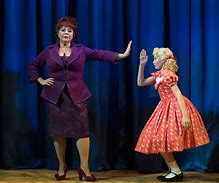 boasts a stellar cast, most notably the fantastic Tracie Bennett, fresh from Follies at the National Theatre, who knocks it out of the park with the song, I Hate Musicals – an anthem to musicals (obviously) but with the most reliable references to Gypsy’s Momma Rose. Personally, it’s worth the price of a ticket merely to see Tracie Bennett again. 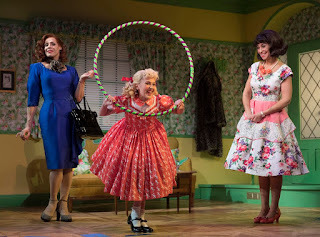 Harriet Thorpe, Lara Denning, Kim Maresca, fresh from Ruthless! Off-Broadway, complete a fabulous ensemble that holds this wild production together and makes you laugh out loud at their coldblooded conniving antics! I must also mention the four young actresses (sadly not identified at the performance) who play the crucial character of Tina Denmark – Fifi Bloomsbury-Kheir, Anya Evans, Charlotte Breen and Lucy Simmonds – all of whom must be able to give good jazz hands, tap and splits in this precociously privileged role. So with ruthless honesty, I must admit, I left the theatre with a big smile on my face, have giggled and laughed at the pure fun and outrageous infectious comedy of what is indeed a cult classic!